The tug Alexandr Poyarkov was towing a barge from the port of Sakhalin, Rybnovsk to Sovietskaya Gavan. The vessels encountered rough weather when the Alexandr Poyarkov became disabled while in the Tatarskiy Strait. The tug’s propulsion shaft joint failed and the crew dropped anchor. The towline to the barge, which was unmanned and in ballast, was cut so that the tug could ride out until repairs could be made. 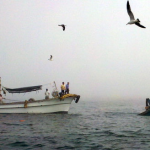 However, the weather worsened with winds reaching up to 15 meters/sec and waves upto 2 meters. The tug sent out a distress signal which was received by MRCC Sakhalin. The MRCC directed a nearby 82 meter long, 1397 dwt tug AHST Neftegaz-70 to the Alexandr Poyarkov. The weather was too rough to allow the crew to be taken off the Poyarkov, but the Neftegaz-70 was able to take the tug under tow. The Neftegaz-70 towed the Alexandr Poyarkov to De-Kastri Bay as it was the nearest place of refuge. No reports of injuries. The fate of the barge was not included in the report. The 396 ton passenger ferry Democracy No. 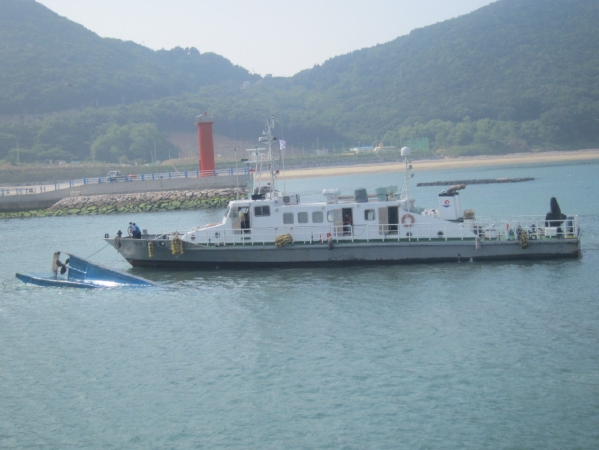 5 with 320 passengers and 16 crew collided with the 9.7 ton fishing vessel Haeseongho off Daecheong Island, South Korea. 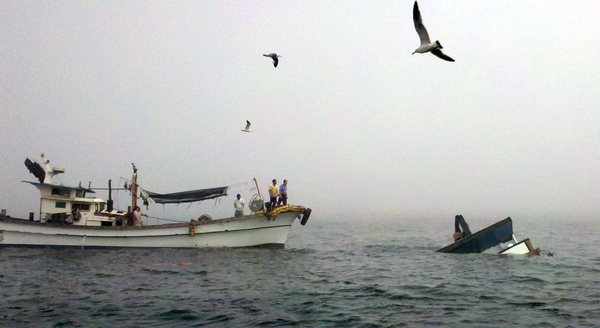 The ferry had left Daecheong Island heading for Incheon in thick fog when it hit the fishing vessel. 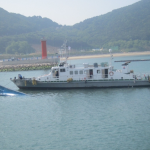 The 3 crewmen on the Haeseongho were thrown overboard as the fishing vessel capsized after the collision. All three men were pulled out of the water suffering minor injuries. The ferry was able to continue on to Incheon. No reports of injuries on the Democracy No. 5. 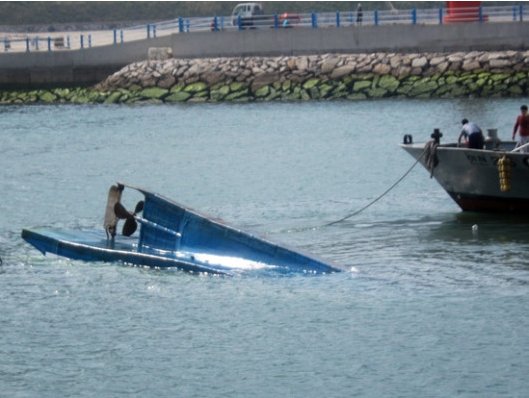 The South Korea Coast Guard will be conducting an investigation into the incident. 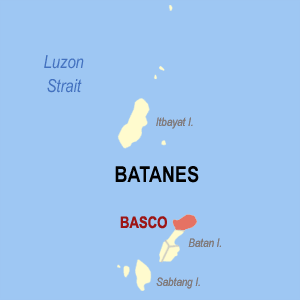 The motor vessel Wakay becamed disabled near the port of Basco, Batanes, Philippines amidst rough seas. 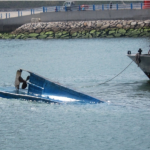 The vessel was bound for Manila with cattle, empty gas tanks and recyclable plastic suffered engine problems and went adrift. The Wakay contacted the Philippine Coast Guard for assistance. Rescue vessels were able to reach the scene, but rough seas prevented getting close to the Wakay. The following morning a rescue vessel was able to secure a towline to the Wakay and brought the vessel to Basco Port. The Wakay is undergoing repairs.